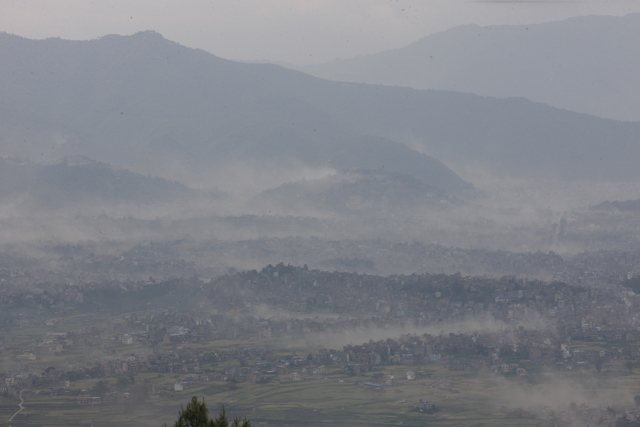 Puffs of dust, as seen from Hattiban, rise from different parts of Kathmandu after the 7.8 richter scale struck Nepal on April 25, 2015. 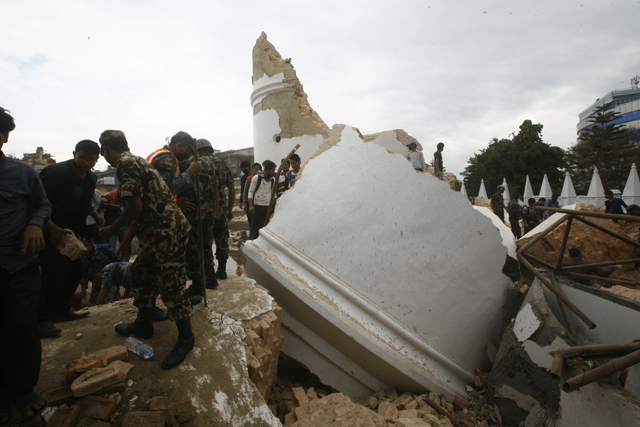 Dharahara is completely destroyed in Saturday's earthquake. 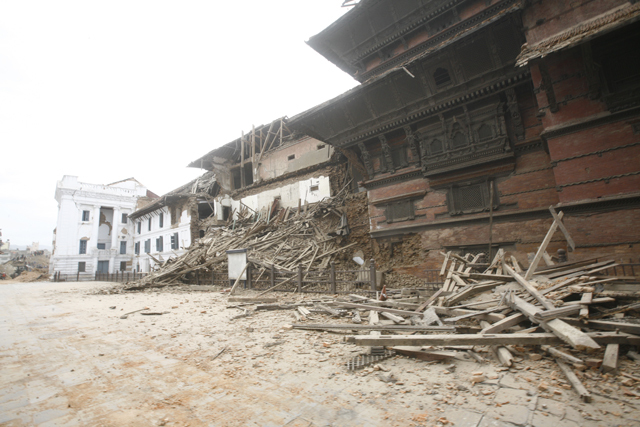 Temples in Kathmandu Darbar Square and Patan Darbar Square are reduced to rubble following Saturday's earthquake. 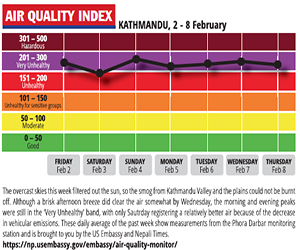 The statue of late King Tribhuvan at Tripureshwor remains standing while the cover over it is damaged. Doctors attend to injured people outside Bir Hospital on Saturday. A person looks at a damaged building in Teku on Sunday. 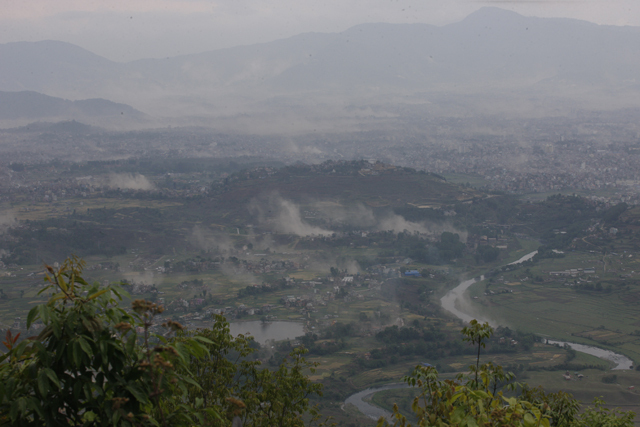 Huge cracks appear on the highway at Lokanthali following Saturday's earthquake.